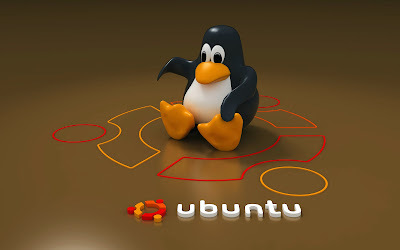 Ubuntu is a computer operating system based on the Debian GNU/Linux distribution and is distributed as free and open source software with additional proprietary software available. It is named after the Southern African ethical ideology Ubuntu (humanity towards others”). Ubuntu is composed of many software packages, of which the vast majority are distributed under a free software license (also known as open source). The main license used is the GNU General Public License (GNU GPL) which, along with the GNU Lesser General Public License (GNU LGPL), explicitly declares that users are free to run, copy, distribute, study, change, develop and improve the software. Ubuntu is sponsored by the UK-based company Canonical Ltd., owned by South African entrepreneur Mark Shuttleworth. By keeping Ubuntu free and open source, Canonical is able to utilize the talents of community developers in Ubuntu’s constituent components. Instead of selling Ubuntu for profit, Canonical creates revenue by selling technical support and from creating several services tied to Ubuntu. Ubuntu focuses on usability.The Ubiquity installer allows Ubuntu to be installed to the hard disk from within the Live CD environment, without the need for restarting the computer prior to installation. Ubuntu comes installed with a wide range of software that includes OpenOffice.org, Firefox, Empathy (Pidgin in versions before 9.10), Transmission, GIMP (in versions prior to 10.04), and several lightweight games (such as Sudoku and chess). Additional software that is not installed by default can be downloaded using the package manager. Ubuntu allows networking ports to be closed using its firewall, with customized port selection available. End-users can install Gufw and keep it enabled. GNOME (the current default desktop) offers support for more than 46 languages. Ubuntu can also run many programs designed for Microsoft Windows (such as Microsoft Office), through Wine or using a Virtual Machine (such as VMware Workstation or VirtualBox). System requirements The desktop version of Ubuntu currently supports the Intel x86, AMD64, and ARM architectures. Some server releases also support the SPARC architecture. Unofficial support is available for the PowerPC, IA-64 (Itanium) and PlayStation 3 architectures (note however that Sony officially removed support for OtherOS on the PS3 with firmware 3.21, released on April 1, 2010). *Note: If visual effects are desired, a supported GPU is required. Installation of Ubuntu is generally performed with the Live CD. The Ubuntu OS can be run directly from the CD (albeit with a significant performance loss), allowing a user to “test-drive” the OS for hardware compatibility and driver support. The CD also contains the Ubiquity installer, which then can guide the user through the permanent installation process. CD images of all current and past versions are available for download at the Ubuntu web site. Installing from the CD requires a minimum of 256 MB RAM. Canonical offers Ubuntu and Kubuntu installation CDs at no cost, including paid postage for destinations in most countries around the world (via a service called ShipIt). A Microsoft Windows migration tool, called Migration Assistant (introduced in April 2007) can be used to import bookmarks, desktop background (wallpaper), and various settings from an existing MS Windows installation into a new Ubuntu installation. Wubi, which is included as an option on the Live CD, allows Ubuntu to be installed and run from within a virtual Windows loop device (as a large image file that is managed like any other Windows program via the Windows Control Panel). This method requires no partitioning of a Windows user’s hard drive. Wubi also makes use of the Migration Assistant to import users’ settings. It is only useful for Windows users; it is not meant for permanent Ubuntu installations and it also incurs a slight performance loss.